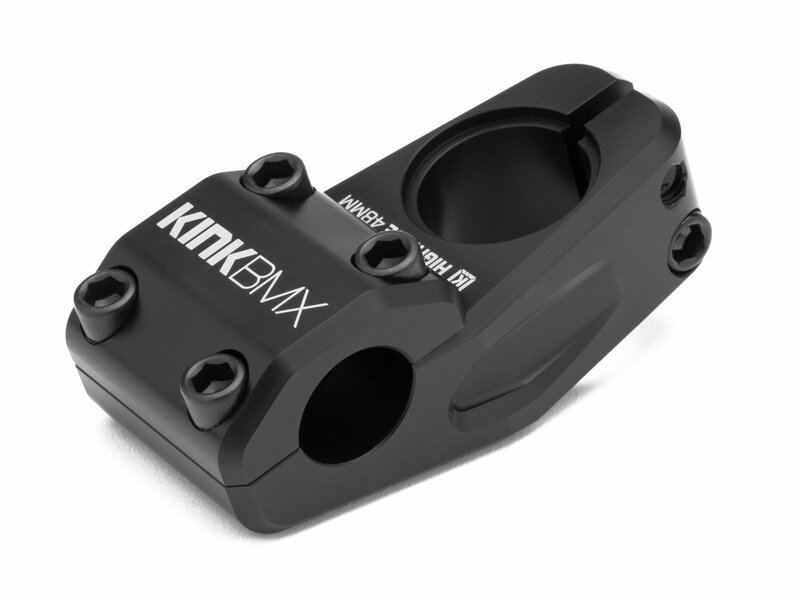 The Kink Bikes "Highrise" Topload Stem is CNC machined from 6061-T6 aluminum and features a lifted topload body design. A recessed fork cap bolt area and machined body sides create a clean look, and reduce unnecessary weight. The rounded stem body and chamfered edges throughout, keep the Highrise stem as knee friendly as possible. The Kink Bikes "Highrise" Topload Stem stem is available in two lengths to fit your riding style or preference.